Horus Dynamics Srl is a company specializing in the state of the art drones and remote control devices. In a continuously moving sector, its qualified personnel ensure the full satisfaction with every request of the customer related to aerial shooting for inspections, shooting and photogrammetry. The latest technologies offered by the use of professional drones for aerial shooting allows to increase productivity, obtaining economic benefits. Looking for a service with professional drones for aerial shooting or inspections in Rome? 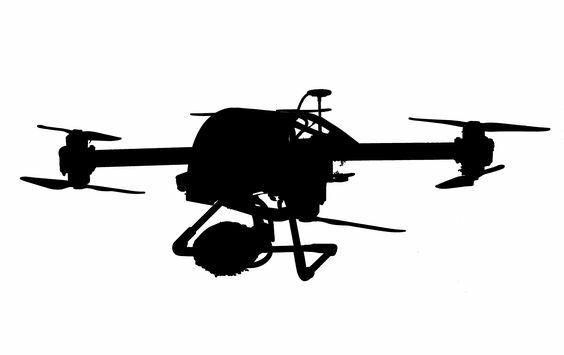 Horus Dynamics boasts a broad spectrum of services with drones. The devices can be used for inspections of shipyards and industries, for the real estate promotion, for the monitoring of rural and agricultural areas, or to make in-flight shooting, even in the most varied activities. Drones find more and more fields of application, especially in the professional sector, where many activities can benefit from obvious and immediate benefits. -carry out environmental and thermography analysis. The company specialized in professional drones in Rome, for aerial shooting in the capital and its surroundings, offers a wide range of services to its customers for inspections, photogrammetry and thermography, in addition to a competent and thorough consultancy and the integration of products and services tailored to the needs of the individual customer to add value to the work done or to enhance the structures. The fields of application of the professional drones in Rome are constantly expanding and range from environmental protection to the automobile sector, from rescue to nautical, from sport to marketing, from entertainment and media to building, from energy renewables to geology, from the insurance sector to cultural heritage, from agriculture to the mining industry. Want more information on selling professional drones in Rome? Fill out the form! The post Drone Advanced Consultancy appeared first on drones for sale. DJI Mavic Pro – Fly More COMBO Professional drone & accessories pre-order The post DJI Mavic Air Fly More COMBO ENAC appeared first on drones for sale. pre-order The post DJI Mavic Air ENAC Critics Zone appeared first on drones for sale. Autonomy 30min Range of action 7km Video resolution 4K Photo resolution 20Mpx Sensors 30m, 360 ° Speed ​​20m / s live view 720p Weight 1388g The post DJI Phantom 4 Pro appeared first on drones for sale. Package Included: DJI Inspire 2 Zenmuse X5S CinemaDNG e Apple ProRES License Key The post DJI Inspire 2 COMBO appeared first on drones for sale. 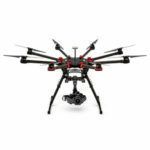 Autonomy Maximum 27 min Range of action 7 km 5.2K video resolution 20Mpx photo resolution Sensors range 30m Speed ​​30 m / s (108 km / h) Live View 1080p The post DJI Inspire 2 appeared first on drones for sale. Horus Dynamics ZERO-T Drone The post Horus Dynamics ZERO-T Drone appeared first on drones for sale. We offers solutions ranging from consultancy to video services with drones up to the development of ad hoc products, gimbal and drone sensors. We manufacture professional drones and accessories. The goal of our services is to save resources and optimize operations thanks to drones.